"This story has been with me practically my whole life” . The plot for this release will sound remarkably familiar to anyone familiar with the modern horror genre. Young filmmaker Danielle (Danielle Lozeau) has grown up in the town of Black Water, where every ten years for four decades, a woman has been found murdered. Although a conviction has been made, with the perpetrator Raymond Banks (Bill Oberst Jr.) confessing to the most recent incident, Danielle does not believe him to be the murderer. Thus her frankly, stupid notion, is to drag her filmmaking chums into the woods, and look for evidence. Somehow she believes she'll be able to save Raymond as he sits on Death Row. As they venture into the woods, they encounter weird locals who warn them off the scent, hear strange noises at night, and see unusual markings on trees. Despite all the evidence screaming at them to run home quickly, and the local vampire mythology, ambitious Danielle needs to get all of her shots and persevere. Soon it becomes apparent that they are not alone in the woods, and are in fact, in grave danger of succumbing to the legend. It's The Blair Witch Project. Or perhaps, The Black Water Vampire Project. The structure of the film is exactly the same. Right down to the characters being played by actors using their real names, the early sequence with wacky local residents, Danielle's meltdown two thirds of the way in, to the entry into a deserted building in the woods late on. Unfortunately, it is executed with none of the same panache or style, some truly horrible dialogue, and the horror genre's single most persistent problem- an inability to create three dimensional but sympathetic characters. One of Blair Witch's key strengths was the superb sound design by a crew who really maximized the potential of a secluded area, filled with small, unsettling noises. Even when nothing frightening of note was happening on screen, it sounded like there was. This really isn't the case here. At least however, the first couple of night scenes do manage to achieve a degree of tension, in spite of the film being burdened with a lack of mystery surrounding its content. The vampire effects too, are terrible. A murky, sub-Nosferatu mask does not induce terror once it has been seen in full. I've seen reviews praising the make-up but I really can't agree with them; this is sub-par stuff that would have been much more effective with a little more invention in the staging and lighting. Indeed the creature is most effective in fleeting full-length shots from a distance. One or two particular moments hint at a direction that could have been plucked directly from the opening of American Horror Story:Coven. Unfortunately by the time the finale arrives, no amount of handheld footage can hide the weak impact that the beast concerned delivers. Black Water Vampire is certainly not without its merits though. The performances are generally fine, especially given the dialogue the cast are saddled, and there's a hint of knowing humour in the depictions of the local townsfolk. It's just a shame that there isn't a lot more of the positives. It's as if the filmmakers were afraid to stray too far away from their template. At 79 minutes, the movie certainly doesn't overstay its welcome. Several moments that occur at night within the tent will likely cause some palms to become very sweaty indeed. Unfortunately the pacing is a little all-over-the-place. It takes some time to really get going, and once it does, runs out of ideas. There's a nice cabin type location in the final frenzied moments (which again harks back to its inspiration), however very little is made of it. Instead, we're nailed with a sucker punch that many will see coming, but few will expect to land with the mind-numbing stupidity that it does. The closing moments of the film are genuinely groan inducing. I know a lot of people just don't like found footage horror films, however I think generally that's incredibly harsh. As with any style of filmmaking ,it's a trend that has become so popular there are bound to be stinkers within the mix. But there are also gems, and when applied to the right story, it can yield superb results, such as with the masterful Cloverfield, or indeed, the iconic Blair Witch Project. On that note, I do think that Black Water Vampire could have worked. In fact, the woods-bound Vampire presents an interesting spin on a location that usually delivers werewolf or Bigfoot myths. Prior to the atrocious ending, the overall plot has some very interesting elements that really could have been expanded upon. 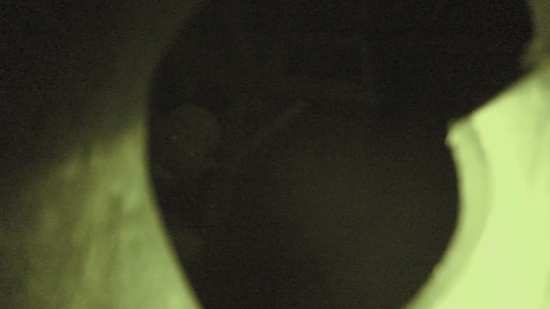 Additionally, the found footage format is something that could lend itself to creature features in more experienced hands, and add a grime to something as fantastical as a vampire. 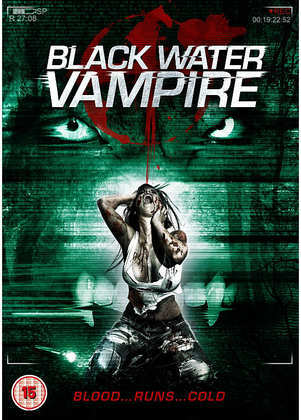 Black Water Vampire is a film that could have done with rewrites, a few bolder manoeuvres, and a little more life behind the scenes. But it is watchable, and aficionados of found footage will find much to admire here. Woefully derivative, the natural fit that is a backwoods vampire is not quite enough to distinguish this effort from the pack, even if for the most part, it does keep the film afloat. 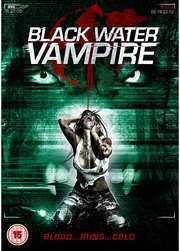 There's no getting around the point; Black Water Vampire is an obvious a rip-off as you will ever see. On the other hand, inexplicably poor ending aside, it isn't a terrible film. It doesn't scrape the barrel like Chernobyl Diaries or Grave Encounters, but like the confused, uneven Dyatlov Pass Incident by Renny Harlin, there's a film in here that simply should have been handled better. Harlin's mistake was to throw too many disparate elements together and finding they did not mix. Black Water Vampire however, just doesn't have enough ingredients in the first place. A Battenberg made with the correct recipe, but unfortunately individual elements are all recycled and tasteless. File under, curious but frustrating.